During the Civil War (1861–65) the women of the Northern states contributed significantly to the support of the Union effort. One of their particularly successful initiatives was the organization of the United States Sanitary Commission, empowered by President Abraham Lincoln to promote modern sanitary conditions and to improve hygiene standards for soldiers and veterans of the war. The organization began in 1861, when the Women’s Central Association of Relief, a group numbering more than four thousand, met at the Great Hall of Cooper Union. Their goal was to expand into a larger organization on the model of the British Sanitary Commission, established by the famed nurse Florence Nightingale during the Crimean War (1853–56). Dr. Elizabeth Blackwell, the first woman to graduate from a medical college in the United States, was a co-founder of the American association, which became the United States Sanitary Commission. To raise money for what was generally called the Sanitary Movement, fairs were held in cities throughout the Northeast during the Civil War. These large social events combined entertainment and education with philanthropy. The Brooklyn and Long Island Sanitary Fair, orchestrated by local civic and service organizations, opened on February 22, 1864, and ran for about a month. The fair took place in and around the Brooklyn Academy of Music, then located on Montague Street in downtown Brooklyn, an independent city at the time. The fair raised more than $400,000—almost 4 million dollars by today’s standards—far surpassing the $100,000 goal of its organizers. Highlighting two dolls from the Museum’s collection that were displayed at the fair as well as ephemera and period documents, this exhibition celebrates the historic benefit and sheds light on the larger contributions of women during the Civil War—those of Blackwell and others honored in Judy Chicago’s The Dinner Party, as well as those of countless unknown volunteers. October 31, 2009 An exhibition of nearly thirty artworks and historical objects celebrating the contributions of Union women to a Civil War relief effort known as the Sanitary Movement is the subject of the latest exhibition in the Herstory Gallery of the Elizabeth A. Sackler Center for Feminist Art. Healing the Wounds of War: The Brooklyn Sanitary Fair of 1864, on view from January 29 through October 17, focuses on one of the many sanitary fairs held in Northern cities to raise money to aid the Union troops, each seeking to outdo the others. The Herstory Gallery is dedicated to exhibitions that relate to the lives and histories of the 1,038 women named in The Dinner Party by Judy Chicago, which is on permanent view in the adjacent gallery. Represented in Chicago’s iconic work is Dr. Elizabeth Blackwell, the first woman to receive a medical degree in the United States and a leader of the Sanitary Movement. Although the U.S. Sanitary Commission, an official government agency signed into law by President Abraham Lincoln, was headed by men, much of its work to support the Federal army with funds and supplies was accomplished by thousands of women volunteers. They helped to organize sanitary fairs, marking the first time during the Civil War that women expressed their patriotism in the public sphere rather than the domestic arena. In Brooklyn, women’s organizations produced the successful Brooklyn and Long Island Sanitary Fair, featuring dances, parades, merchandise sales, auctions, and a cattle show. The event lasted two weeks and raised a remarkable $400,000, four times more than anticipated. 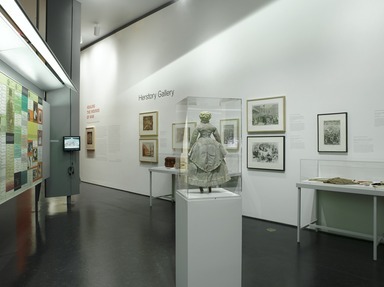 The focal point of the exhibition is an exceptional doll and its trousseau, made by the dressmaker Eliza Lefferts for the 1864 Brooklyn fair, which was held in a Montague Street location. 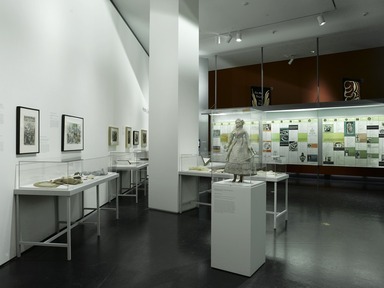 The doll and her exquisitely created wardrobe, last on public view in 1985, entered the Brooklyn Museum collection in 1924. 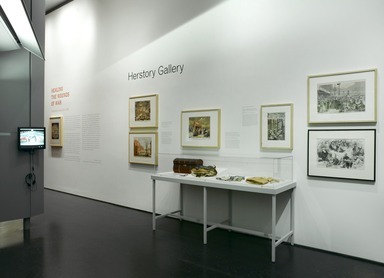 Also included in the exhibition are lithographs that depict the halls of the Brooklyn Sanitary Fair, where handmade items were for sale, as well as engravings of several magazine illustrations by Winslow Homer showing scenes of the war and the relief effort at home. 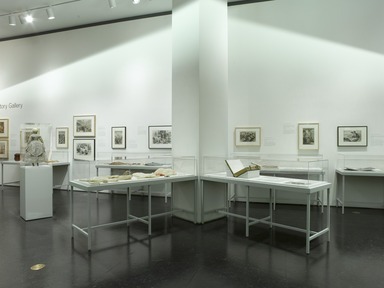 The material in the exhibition is from the Brooklyn Museum’s permanent collections, augmented by loans of ephemera from the Brooklyn Historical Society. The exhibition has been organized by Catherine Morris, Curator of the Elizabeth A. Sackler Center for Feminist Art at the Brooklyn Museum.